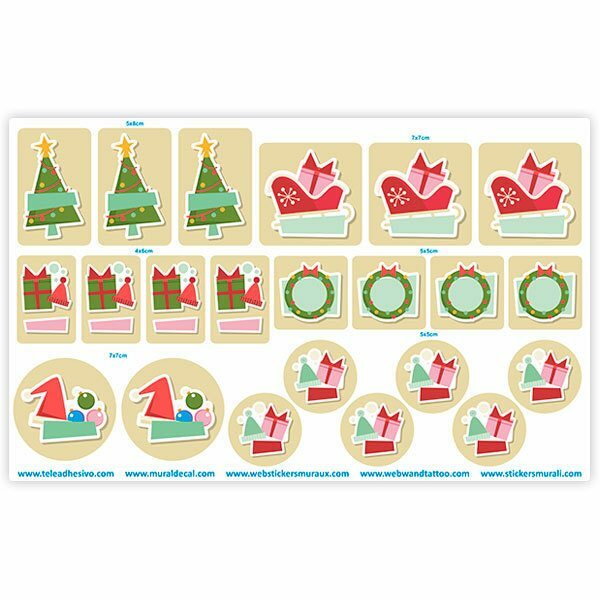 Custom Label Kit Christmas Ornaments. 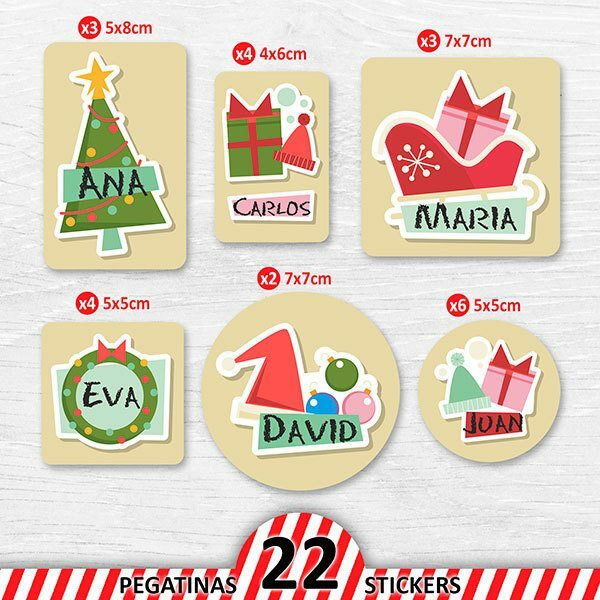 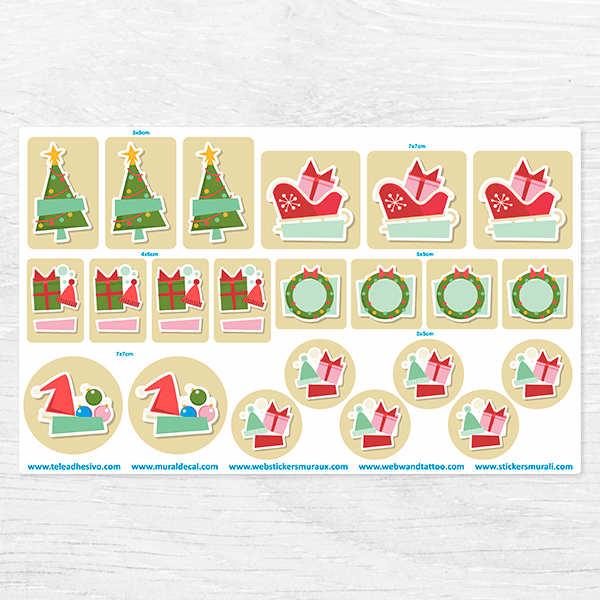 Design of 22 stickers to decorate the gifts you make at Christmas, this design has images of gifts, decorations and Christmas tree. 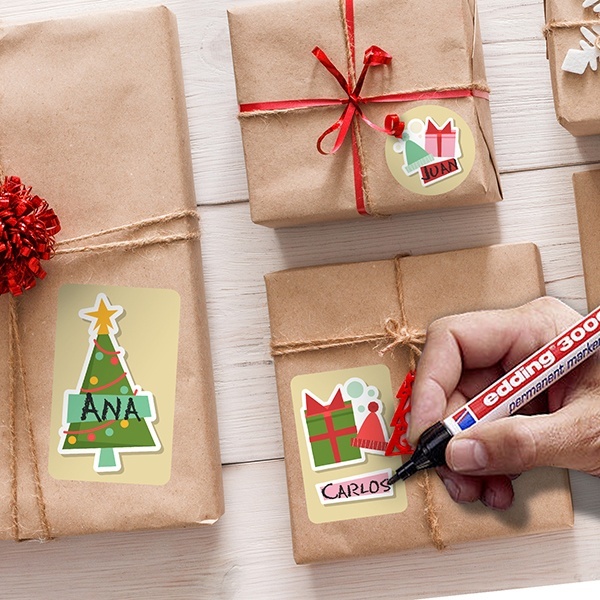 They have a space in white so that with a permanent marker you can put for who is directed the gift.